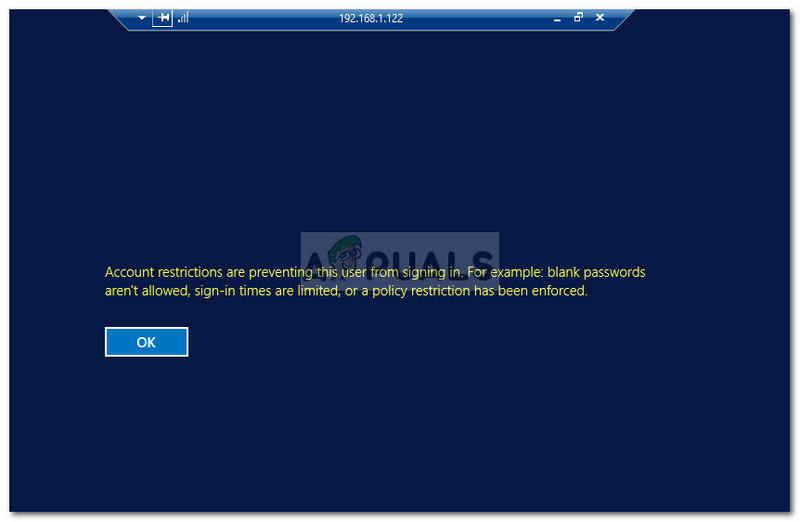 The error message ‘Account restrictions are preventing this user from signing in’ is revealed when a user is not able to establish a Remote Desktop connection to a target system using Windows Server 2012 or above. This error can be caused by your Windows Group Policy which stops it from passing credentials to the remote system. On the contrary, many people assume that the issue is often due to expired passwords or blank passwords which can sometimes be the case, however, in case it isn’t, then many are left without any clue. Remote Desktop Connections are widely used by security administrators or other parties and its use has been gradually increasing. Thus, errors are to be expected as every application out there contains errors that just need to be unveiled. Nonetheless, you can easily isolate your issue by implementing the solutions given down below. What causes the ‘Account Restrictions are Preventing this User from Signing in’ Error Message? Windows Group Policy: Windows policies are responsible for some of the actions that your system performs. 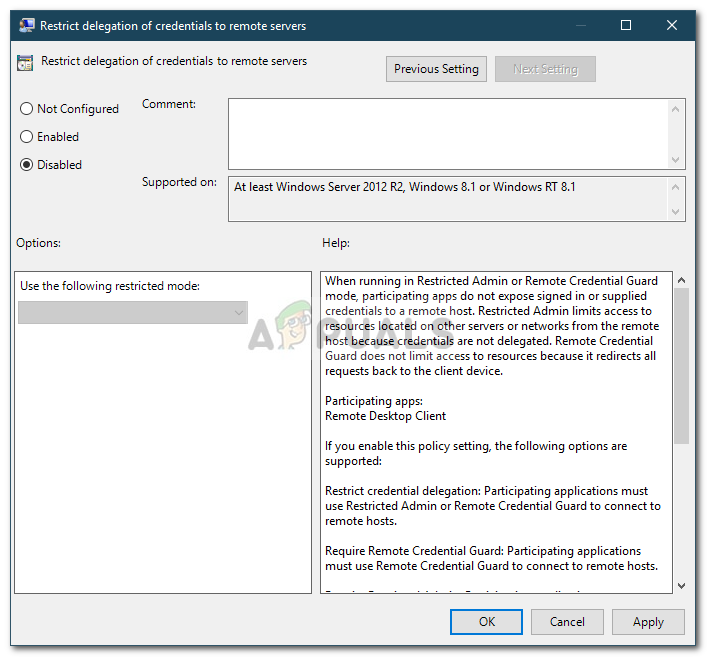 The error message is, sometimes, due to a particular Windows Group Policy which stops the Remote Desktop Client to expose sign-in credentials to the remote host. Disabling the policy seems to fix the issue. No Password: In some cases, the error message can also occur if the user account that you are using to establish a remote connection doesn’t have a password. In such a case, you will have to either set a password or just disable this policy as well. Now that you are aware of the potential causes of the error message, you can isolate your issue by using the solutions provided down below. Type in ‘gpedit.msc’ in the search box and then hit Enter. There, on the right-hand side, locate the ‘Restrict delegation of credentials to the remote servers’ policy. Double-click it to edit it. Set it to Disabled, click Apply and then hit OK.
Open up the Local Group Policy Editor as shown above. On the right-hand side, you need to locate the ‘Accounts: Limit local account use of blank passwords to console logon only’ policy. Double-click to edit it and then just set it to Disabled. How to Create a New User Account and Transfer all the Data to it?